Freetrade is raising £100,000 investment on Crowdcube. Capital At Risk. Freetrade is an app designed to make investing in stocks and shares easier and commission free. It also connects users with a network of Independent Financial Advisors providing transparent, accessible advice. 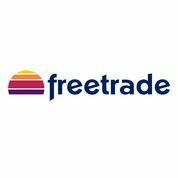 Freetrade is raising to develop the product further, targeting the existing £288bn share dealing UK market. Freetrade is a mobile app that has been designed to let users invest in the stock market, with zero commissions or fees. It also allows you to connect with a network of independent financial advisors too, for transparent advice in a more modern, efficient way. A 2016 survey showed that 46% of Britons would love to invest in stocks and shares but don’t know how. They’re faced with prohibitively high share dealing commissions and few options for cost-effective advice. Traditional channels are out-dated and difficult to use. By removing commissions, we intend to make investing more accessible and affordable. We’ve eliminated minimum portfolio size and we are even going to offer fractional share dealing. For example, if Apple is trading at $100 you’d still be able to invest just $20 in shares. Our mobile app prototype is built, and we are in the process of selecting our back office service providers. We have been accepted to the FCA Innovation Hub and are in the process of applying for regulatory permission to be an execution-only broker. We perceive the existing market to be considerable and lucrative, with a £288bn existing share dealing market in the UK, of which £122bn is in 3.7m execution-only accounts. There are also 16m people in what the FCA calls the ‘Advice Gap’: people with investable assets but who are unable or unwilling to pay the high cost of professional advice. To see the rest of the Freetrade pitch, join now. Join to read more information about the Freetrade team, documents, and what other investors are saying about the pitch.